by David Brooks. Mexican journalist. 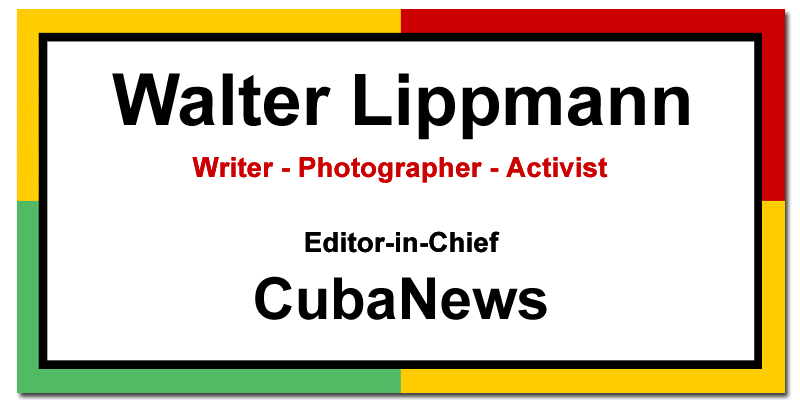 Correspondent for the newspaper LA JORNADA in the United States. 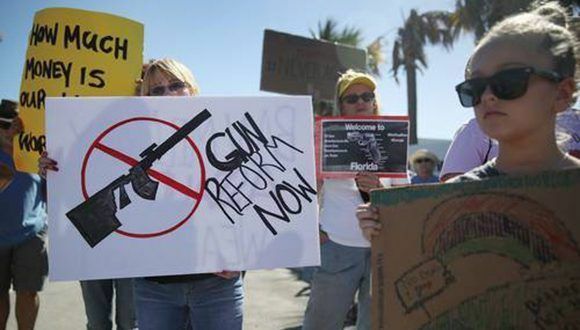 Activists and students protested outside an AK-47 rifle factory in Pompano Beach, Florida yesterday. Photo: AFP. “I knew that I could never raise my voice against the violence of the oppressed in the ghettos without first speaking out clearly about the greatest provider of violence in the world today: my own government,” Martin Luther King Jr. stated in his famous speech against the Vietnam War in 1967, where he linked injustice and oppression within this country to its world-wide warlike and imperial policies. The United States is an extraordinarily violent country, the most violent of all the first world within its borders and, perhaps, if you count the victims of its violence outside, the most violent country on the planet. Violence is an integral part of its history, starting with the genocidal campaign against the first inhabitants of this country, slavery and wars of all sizes (some with millions of dead) against dozens of nations to date. This country is the only one that has used a weapon of mass destruction. Moreover, its economy has depended to a large extent on the production of arms, wars, civil control; it gives the largest public subsidy to the private sector. And institutional and official violence has always been bipartisan and justified in the name of peace and to defend the country and sometimes even to save the world. Official violence inside and outside the country is no exception, it is the rule. The massacre at Marjory Stoneman Douglas Public High School in Parkland, Florida, last Valentine’s Day occurred in a country flooded by more than 300 million firearms that, each year, claim more than 32,000 lives (and tens of thousands of wounded) and that since 1968 to date have killed more Americans than those who perished in all their wars since the founding of this country. But this internal violence cannot be separated from the external violence, wars and almost incessant interventions of this country throughout its history. The official message is that violence is a legitimate, justifiable and necessary response. And the weapons, therefore, are sacred. What Trump wants most today is a military parade with many planes flying over and presided over by him, a commander in chief who evaded -like so many children of the rich- military service during the Vietnam War. And their solution for resolving gun violence is: more guns, including arming teachers. Never Again is the name of the new movement launched by those Florida students who survived the most recent massacre, a fierce response against politicians and the National Rifle Association (NRA) who are complicit in the country’s official violent culture. For now, high school students are making them tremble like never before. Emma Gonzalez, 18, a survivor whose speech at the first demonstration after the killing became viral, today has more followers of her Twitter account, @emma4change, than @NRA, one of the most powerful organizations in this country. She, along with her classmates such as Alfonso Calderon, Cameron Kasky, Jaclyn Corin and David Hogg, among others, launched Nunca Más and in the first hours after the tragedy called for a national march for March 24, declaring that this would be the last massacre in a school. Suddenly they lead what could be, if sustained, a movement of a new generation that, in essence, refuses to be complicit in the violence. The movement, whose objectives are very specific -to ban the sale of weapons of war, to verify the mental health of those who buy weapons- is thus questioning the political essence of this democracy. It’s clear, they say, when, in the most recent polls, the vast majority of the country favors controls on the sale and use of firearms (in the two most recent: CNN: 70 percent in favor; USA Today, 63 percent), but politicians continue to hold back further controls by serving the NRA. National companies, understanding the potential power of this movement, are fleeing their relationship with the NRA; the list is growing every day: Delta, United, Hertz, Avis, Enterprise, Symantec, Chubb and First National Bank. Michael Moore, whose documentary Bowling for Columbine researched the issue of gun violence in the United States from another massacre in a high school, sent a tweet: The NRA is a terrorist organization, remembering: we have had 1.2 million Americans killed by guns since John Lennon was shot in New York. But what scares the leaders most is that these young people are able to create alliances with other movements, something that is already beginning to happen. Camila Duarte, a high school student and leader of United We Dream (the largest national immigrant youth organization) in Florida, said: As youth of color and immigrants, we have gone through so much hate, emotional abuse and violence over the past year, from Muslim prohibition to the end of DACA, through school budget cuts, and announced that United We Dream’s immigrant youth “will follow the lead of the brave students at Marjory Stoneman Douglas High School (…) in the March for Our Lives. We will take to the streets together because we believe in a future where everyone can feel safe in their schools and homes. It is hoped that other young people from other movements will also join in. Maybe the students can teach everyone here how to never again tell teachers about violence.